June 28, 2012, marked the end of Google+’s first year. In the beginning, many thought that this social networking attempt by Google was doomed to fail, mainly because of seemingly unbeatable competition. 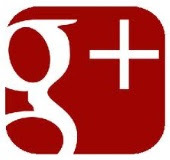 So, does Google+ really have a chance in the social networking arena? Google certainly believes so. It is continuously making improvements and adding more features. Google has plans for Google+ that span many years to come. How Many People Actually Use Google+? The uncertainty in Google+ partly stems from the fact that Google has not been entirely clear on the number of people actively using it. Google has released that it currently has over 250 million registered users. The problem with this figure is that it does not reveal how many users are actually active. The tech world is certainly pushing Google to be more open about the real activity that Google+ is experiencing. The joke on the internet is that only Google employees use Google+. In the next year, it would be wise for Google to release some real figures and put the jokes to bed. The success of Google+ has been compared to Facebook over and over again. In this comparison, Google+ obviously seems to be failing as the number of active Facebook users far out numbers Google+’s registered users. Google is tired of hearing this comparison and feels that it is unfair, and this argument is definitely valid. Comparing this one-year-old platform with a social networking giant that has been developing for 12 years is in no way an accurate portrayal of success. Also, Google has made it clear that it does not wish for Google+ to be just a social network. Whether you believe that Google+ can succeed or not, it is hard to deny that it has some very, very cool features. Circles, for example, let you group all of your contacts so that you can share with only the people that you want. Definitely a bonus, as most people don’t want their mom or their boss to see everything they are doing! Google+ Events lets you create custom invitations to send out online, and then you can share photos from the event in real time with everyone involved. Everyone’s photos from the event are then posted together in one place making the event live online forever. Hangouts are the biggest Google+ feature right now, because up to 10 people can video chat together at once. This feature is great for business meetings, catching up with long-distance friends to talk about your Mustang convertible top and Mustang fuel door, or holding small online family get-together. Google+ may not yet be on the level of Facebook, but the future is definitely looking bright. The world thought that it would be dead, but it is alive and thriving. Be looking out for more and more from Google+ in the coming years. If you’re not yet an active user, don’t be surprised when you feel compelled to join in soon! This guest post made possible by Shane Jones, a writer with varied interests, including Mustangs and Mustang convertible tops.